NASA relies on commercial vehicles for their near-Earth necessities—research flights, cargo runs to the space station, and satellite launches—while they focus on deep space missions. But the agency has previously said they’d like to do research on reusable rockets sometime in the future. Apparently, that future is now. Today, NASA officially opened their call for commercial launch providers asking to buy time for research using reusable vehicles. This is an expansion of their commercial spaceflight program. Instead of merely using rockets to get their payloads into space — and not particularly caring what the rocket did next — now NASA is specifically seeking time on a rocket that can land again. This will allow the space agency to characterize what impact landing has on payloads, something ignored by the launch providers (who are understandably focused on their rockets instead). NASA wants to send their payloads up on a variety of flight profiles, which means that they can accept bids from contractors of all sorts of reusable vehicles. For once, SpaceX isn’t the only game in town. 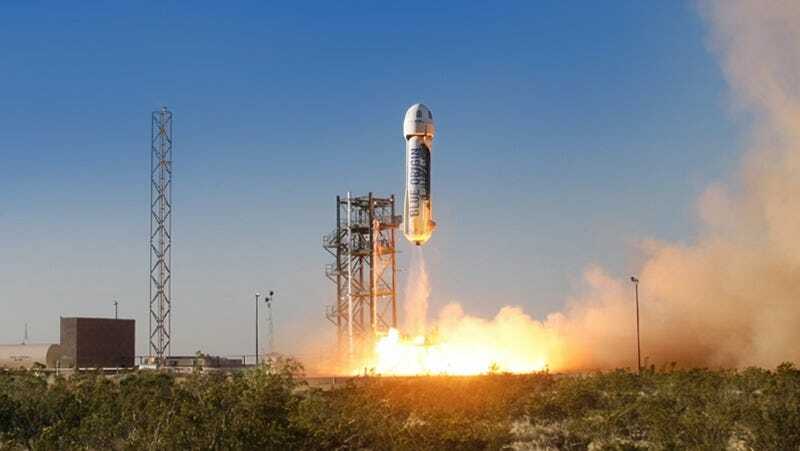 Blue Origin, for one, could conceivably compete for the suborbital flights, and numerous providers could bid on the flights that don’t require a controlled landing. Several of the flight profiles can be accomplished with older technologies—anything that requires a free-fall descent can be accomplished with a balloon (slow ascent) or sounding rocket (rapid ascent) with a parachute to drift back to the ground. But things get interesting when it comes to two new categories. NASA is looking for providers for a low-altitude controlled descent, and a full high-altitude flight and landing. For the first, NASA wants to hitch a ride on a vehicle that can carry their payload from altitude (250 m) safely back to the ground under rocket-powered flight. For the second, the payload needs to be on a rocket that can pop it up to high altitude (30 km or higher) and back down, hovering in place just above the ground before setting down. This research will be necessary if reusable rockets are going to become a feature of spaceflight in the future. Before we can start relying on rockets to safely transport things back down—research payloads, broken satellites, possibly one day even homecoming crews—we need to know exactly what sorts of stresses they undergo during landing. Right now the gold standard for getting things back to Earth are either under drifting parachutes or by splashing down into the ocean. Even during the days of the space shuttles, landings were horizontal, more like an airplane than the modern vertical landings recently making headlines. Now that SpaceX and Blue Origin have proved vertical landings are a plausible way of reusing rockets, it’s time to explore more fully what impact those landings have on delicate, fragile, squishy, or merely temperamental payloads inside. If any new launch providers have been stealthily practicing launching and landing rockets for reusability, they have until mid-March to get their bids in.